In one particular week during my internship I was presented with a student who was preparing for the TOEFL exam as they required an 85% pass mark in order to be accepted for the University of their choice. Instantly I knew that I needed to recap on the information and the layout of the exam in order to be prepared for the next class. As so, I researched the methodology of the TOEFL Exam and was fully ready to give the student the full attention they required. From early on, it became apparent that there was some issues of major concern such as sentence structure, use of tenses and timings for the speaking section. Additionally the answers given were not specific enough and in many cases did not actually the question asked. At this stage, I spoke with other teachers and the Manager of the School to make them aware that the student may need some classes to be tailored to their needs in order for them to pass the exam with the desired mark. Collectively we worked out solutions, with the aid of the Head of Writing Dave who designed several lessons that could be taught to this particular student to alleviate problems with speaking. Also it was apparent when marking the students writing work that it was not only the speaking that was problematic but also the writing of essays. In future classes a lot of time was spent on honing in on timings, use of tenses, use of pronouns and sentence structure. I also gave the student feedback about the writing of essays so they could improve for the next one. 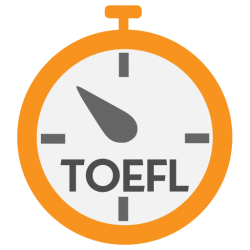 In terms of making the timings better for the TOEFL exam I researched my own questions and any additional advice and guidance to help improve on this aspect of the exam as it is very important because the exam is recorded by computer and not assessed in the presence of an examiner. I feel that I dealt with the student in a very professional manner, almost as though I made it my personal responsibility for the individual to pass their exam. I enjoyed having to indulge myself in the TOEFL exam preparation and looked forward to teaching the student as every class had new surprises. I felt that each week I could see a major improvement in the student’s abilities and although it was challenging at times I thoroughly enjoyed teaching the individual and the TOEFL exam methodology.